Just back from service running like a Swiss watch (Duh!). It's so uncommon for a photo of this to pop the heat-blued hands that I thought I'd share it. - 40mm is a good size for me. My wrist is small. - The leather strap is short (made for Asian market) and is perfect for my small wrist. - Heat treated blue hands, not painted. - Diamond Crown (hammer crown available). - Lot of watch for the money. $209 (shipping included). - Wish the hands were a tad wider. - Came with a second leather keeper that I slid off and removed from the strap. If the sewn in keeper were closer to the buckle and/or the strap longer, MAYBE the second keeper would be needed. - The Miyota 90S5 is not timed as well out of the box as most ETA 2824 movements. So far, the Miyota seems accurate but as timed, is losing 6 to 8 seconds a day. I'm sure that can be improved with adjustment. Still quite acceptable for an automatic watch. EDIT: And yes, I turned the strap backwards/upside down LOL. It's the way I prefer a strap. That is a nice looking fleiger, Hobbs. Nearly any competent watch maker can regulate that Miyota a little better, maybe a lot. Nice photo. That occasional glint of fire blue is eye catching. I’m going to be wearing this one often. The red minute hand is a neat touch. And Nemo. This thing has a BRIGHT dial. I love it! I’ve been fixating on turtles lately. Where did you score the nemo? Stickman as a little kid: Linky! I love turtles! The 4R36 movement is super sweet! I set my black faced turtle (I assure you it is not a racist watch) yesterday and it is keeping perfect time down to the second today. Still in synch with my cheap but shockingly accurate quartz Flieger style watch. I typically see a slight variation from my Seiko and seiko movement watches. My 7S26 movements typically run a little fast and my two NH35 movements run slightly slow when set down for 8-10 hours then catch back up as they get shaken/wound up. So far the turtle and it’s 4R36 has impressed the heck out of me. These Seiko automatics are addictive. I have a 1983 6309 and an all original 7002 with a neat looking patina and lots of character heading my way. Man you’re hooking up! It’s funny how I love all watches and am fascinated by lots of hands and bells and whistles, but I find myself drawn to simple watches. And Seiko has done a nice job on some of their new interpretations of early watches. Wish I didn’t have so many hobbies that have to share my money! I like the metallic orange on the Nemo. I saw one of the Mini-Tunas the other day in metallic yellow gold with a dark blue bezel. It is an south Asian release, and very handsome. There are a few on Ebay for $600 or so. Thanks JHE888. 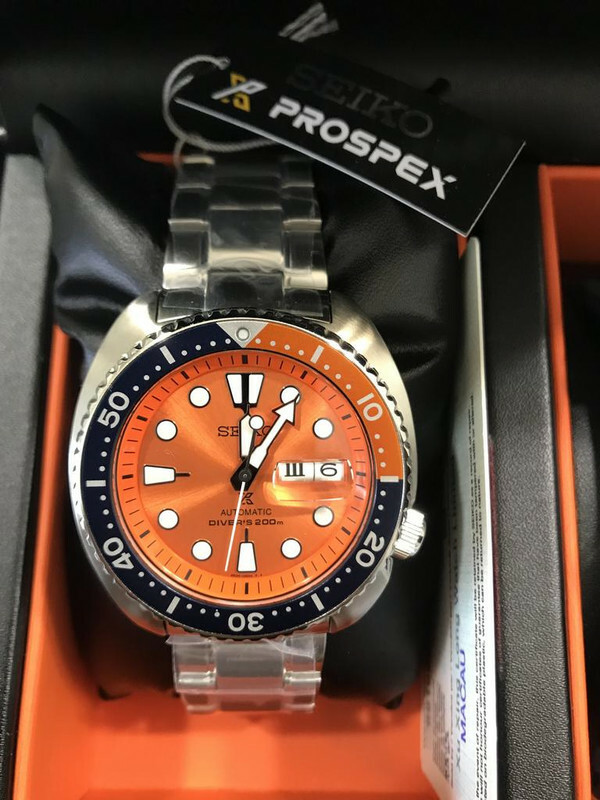 I am really loving the Asian limited release Seiko watches. The yellow butterflyfish ( SRPD15K1 ) is VERY tempting. I’m a sucker for dark blue dials. There is a rare Asian market diver that I’m finding good deals on in Australia that I’m probably going to buy next. I’d love to buy a green reflective dial limited edition turtle but they are expensive as hell. I didn’t need to see this. I like Hamilton’s. Fortunately it’s a bit more than I’d like to spend. It’s a Hamilton Intra-matic automatic chrono. Got the other old Waltham running. Strung it apart, cleaned it up, a good oiling, adjusted the balance and good to go! I’ve always purchased moderately priced watches, and only have one watch that I wear everyday. My current watch is a Luminox Series 1820. I’ve been happy with it, but just recently the luminescence in the minute hand faded out and I can no longer look over on my night stand at night to see the time. We don’t have an alarm clock in the bedroom any longer; my wife uses her phone for an alarm. I’ve also had watches from Wenger—a nice titanium cased watch, and Seiko. Now I’m looking to step up to a nicer watch. 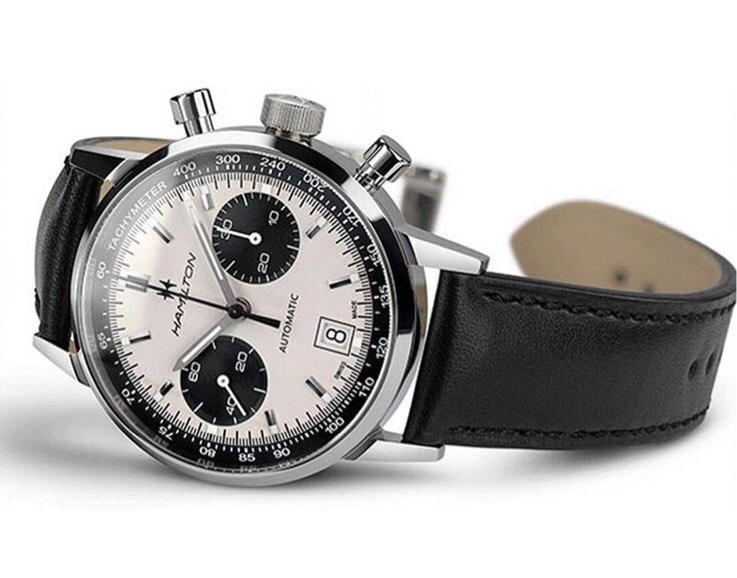 I still can’t justify (to myself) spending over $2k on a watch, but there are some nice watches in the $1k - $2k range, as well as some just under $1,000 that look pretty nice too, like some of the flieger-type watches. Lots of expertise here and I’m looking for help. I’ve looked at the certified watches from Crown and Caliber, as per recommendations here. Even used, many premium watches are out of my self-imposed price limit, i.e. Rolex and Omega. There are certified Tags that are in my price range and the Carrera model in particular is attractive to me (we own a 911). Seems like I’ve read that the watch aficionados here don’t care much for Tag Heuers though—is that right? Criteria: sport-type, luminous dial. I have a small wrist, so it can’t be great big either. I saw the size chart, but haven’t yet printed it to determine exactly what size range to look at. The Luminox I spoke of is about as big as I can wear, and I believe it’s a 42 mm. 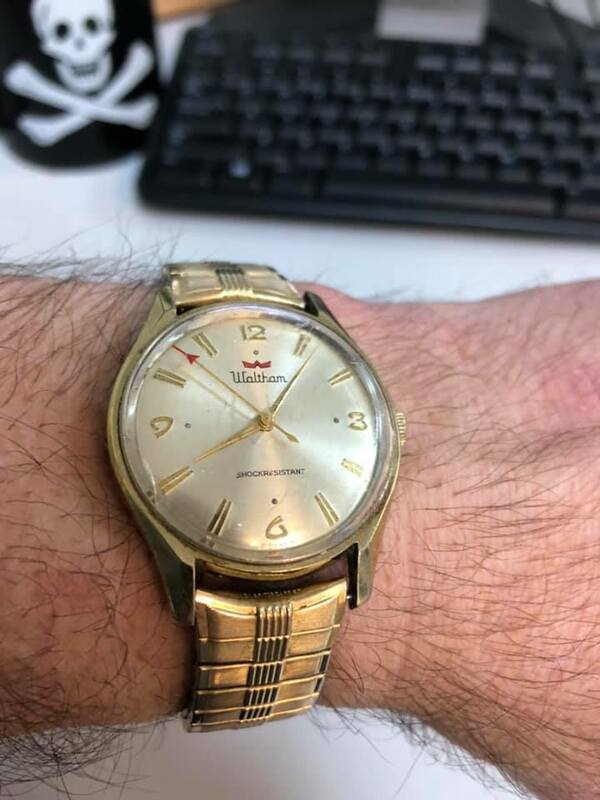 Any other used/certified watch sellers I should look at? Appreciate the advice. If you want a higher end watch with the same type of lume that the Luminox watches use/have, check out Ball watches. I believe that our own davetruong is an authorized Ball dealer.